ARE YOU TRYING TO SELL YOUR CARP FISHERY? 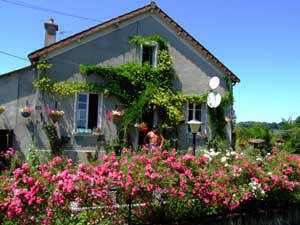 Looking for a lake to buy in France? If you are a Carp Fishery owner who is thinking of or are selling your lake, Bob has a list of people looking for lakes to buy. While Bob has been involved in getting the 3 fisheries below sold, he has built up a list of potential buyers. Immerse yourself in the tranquility and informal atmosphere, in an ideal location to come and relax, and soak up the ambience of France. Biker Friendly B&B and camping but anyone is welcome to stay. Touring France? Looking for a central stopover point? Try Bigbobs Biker friendly Campsite. Escape congested roads, road works and speed cameras...stay at BigBobs where bikers are warmly welcomed. All bikers are provided with secure undercover parking, use of garage, tools. A 4 berth tent + equipment can be provided if neccessary. The open roads of La Creuse provide a fantastic riding experience: Very little traffic, great road conditions, wide sweeping bends, or challenging narrow winding back roads through huge dense forests, the choice is yours! As biker friendly as it gets! See our galleries for comments and photos of bikers who have stayed with us. 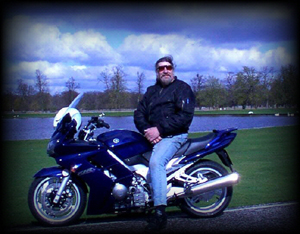 Bob is a lifelong biker, read 'About Bob' and see his bikes past and present on the gallery pages. France is the most popular destination in the World for touring bikers. Come over to BigBobs, and discover why for yourselves. Want to fish for Carp that have never seen bait or hook? Which could weigh in excess of 40lbs? Then this could be the ideal place you are looking for! BigBobs place is surrounded by many untapped lakes and rivers. Making it ideal for pioneering Carp anglers who desire sunshine, peace and quiet in fabulous countryside that won't cost a fortune. 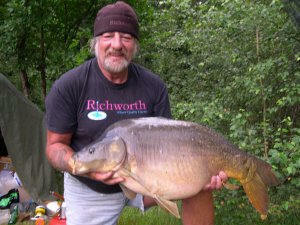 Big Bob has Carp fishing equipment which you can hire plus various known and tested Carp bait for sale. BigBob can advise you by drawing upon his 30 years experience including when he was a Bailiff on three different Carp Lakes within the UK and many of his European Carp angling trips. Coarse fishing page created due to enquiries for information. Copyright © 2014 Bigbobsbb.net All rights reserved.